We are extremely excited to Co-Create with Doug, along side his infinite Peace & Patience is a great place to be! 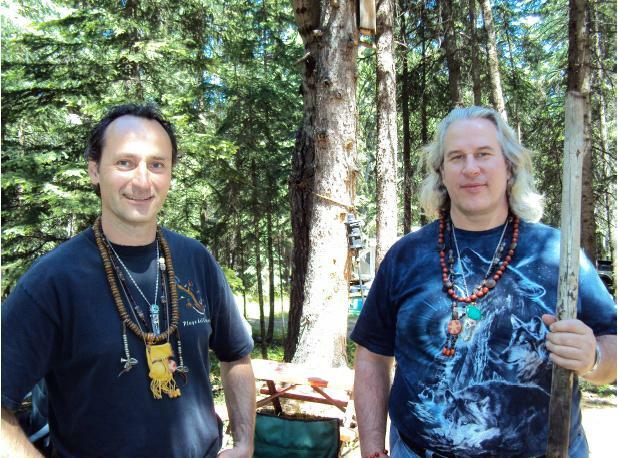 Doug & Bradley Krause have combined their experience, practice, and devotion to offer a 3 Day Intro to Shamanism Weekend. Doug has devoted his life to learning the ancient wisdom that has been left for us by previous civilizations from around the world. His unique perspective has come from being aware of the similarities that connect these ancient cultures. Doug’s ability to translate this ancient wisdom into simple to understand concepts provides everyone the opportunity to allow their own unique perception to shine through. His presentations are thought provoking and he provides a balanced atmosphere in which to digest the wisdom being shared. Doug’s practical experience as a Shaman and healer has blessed him with the ability to step back and see the world differently from the consensual reality we are living.